Hello everyone I wanted to share my first piece for the Steam Driven II art show. You are invited to come to the opening reception at the Creature Features Gallery on Jan 9, 2016. 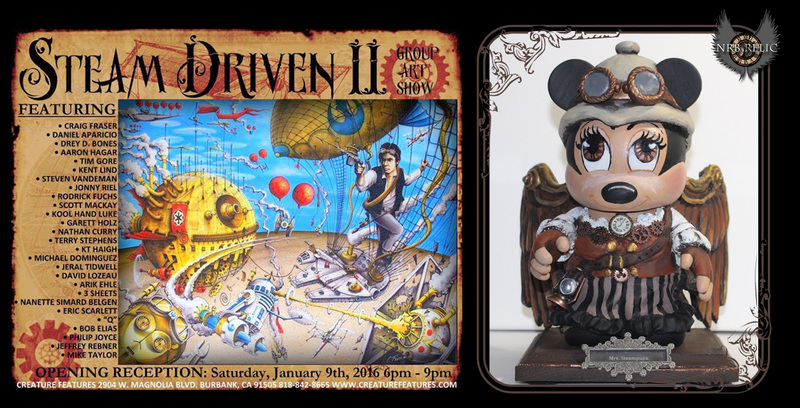 See Mrs. Steampunk and so many other wonderful artist's awesome artwork in person. Visit the Event Page on Facebook for more info on the event.